Preview of my *New* products! Yesterday I was working on some new products to put on Etsy, as well as for my craft fair next Saturday, at the Light House in Wolverhampton. Firstly I have made some of my 3D paper flowers into magnets by painting them up in pretty colours and sticking some adhesive magnet to the back. I have signed all of them for an affordable unique piece of artwork for your fridge! 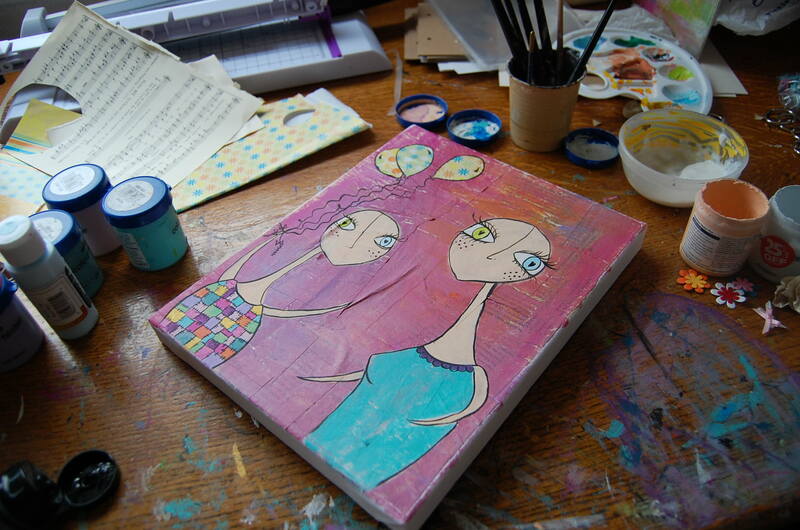 I have also textured some 10cm by 10cm canvases for Mother’s day and for Cat lovers! 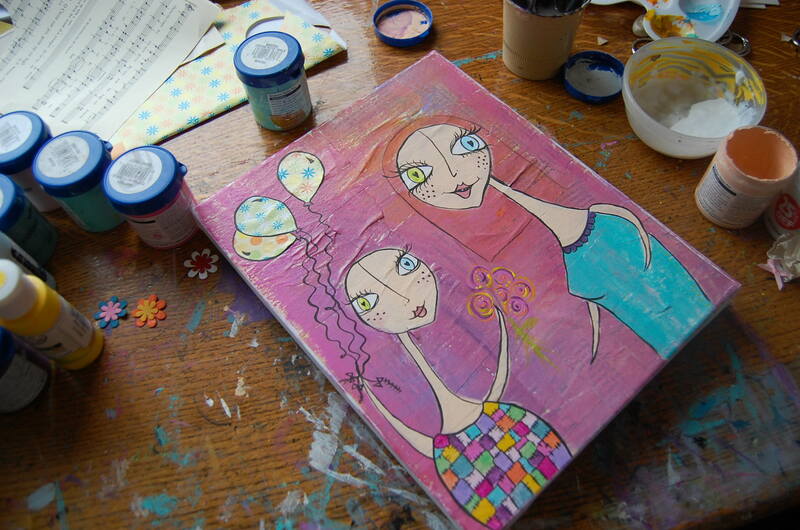 I have added my 3D paper flowers to the Mothers day canvases I have made, with the words ‘mom, I love you’ on them. Last night I made all of these Paper Flowers… I must admit they are addictive to make and I will be using this technique on many creations in the future! 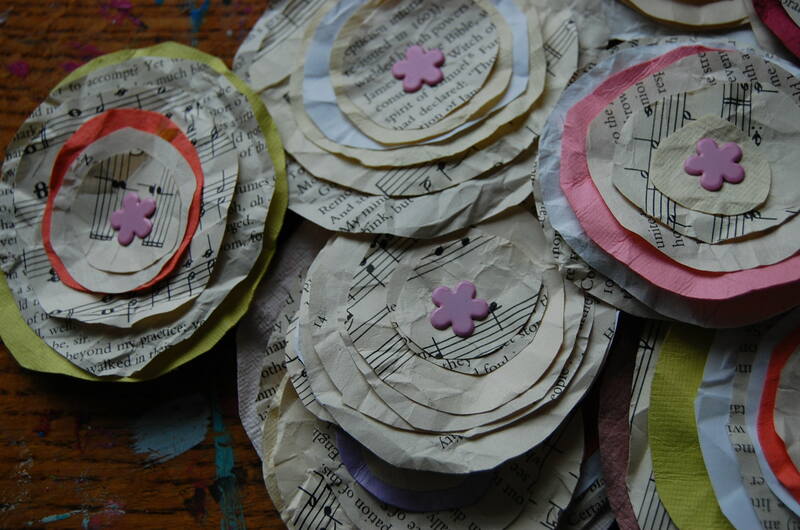 To make these 3D paper flowers I cut various sized circles out of different cards and papers and scrunch them up so they look ruffled. The paper I have used musical note paper, textured paper, colourful card and pages from Shakespeare’s Macbeth, but you could use any paper/card you wish! 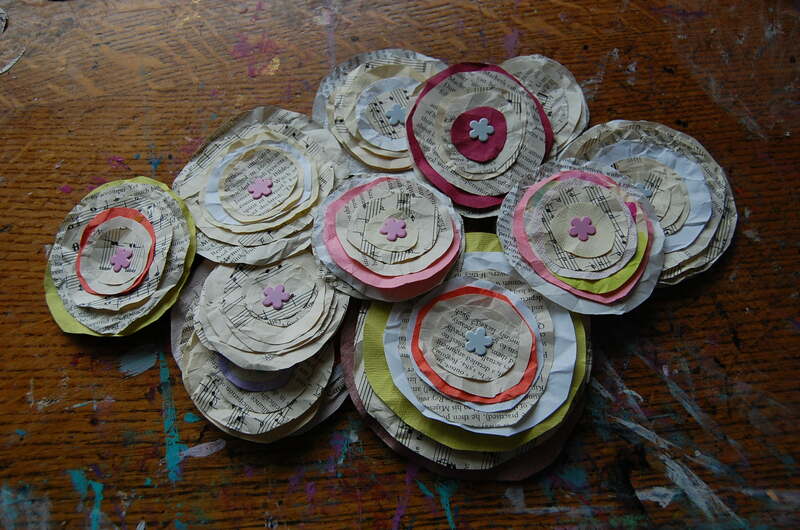 After scrunching them up, I place all the ruffled circles together, and make a hole in the middle either with a crafting knife or a pair of scissors. I then use split pins (which you can buy at any stationary shop) to push through the middle and hold them together! Simple but effective way of making beautiful flowers for your creations. I will be using these on many things such as canvas paintings, cards and making them into magnets! Painting Progress of the day! We didn’t get up until after 12pm today! My aim was to clean the house, put the dinner on by 12 so I could spend all day in the art room painting… but plans never go as they’re meant to in this house! I skipped the housework (and the dinner prep… !) and started painting instead. I textured this canvas last night and started painting today. It is a painting of a Mother and her daughter. The daughter is wearing a patchwork dress and holding some balloons, and lovely flowers for her mom for Mother’s Day (see below.) I have since gone over the flowers in black and signed it, so all I need to do now is varnish it and it’s done! 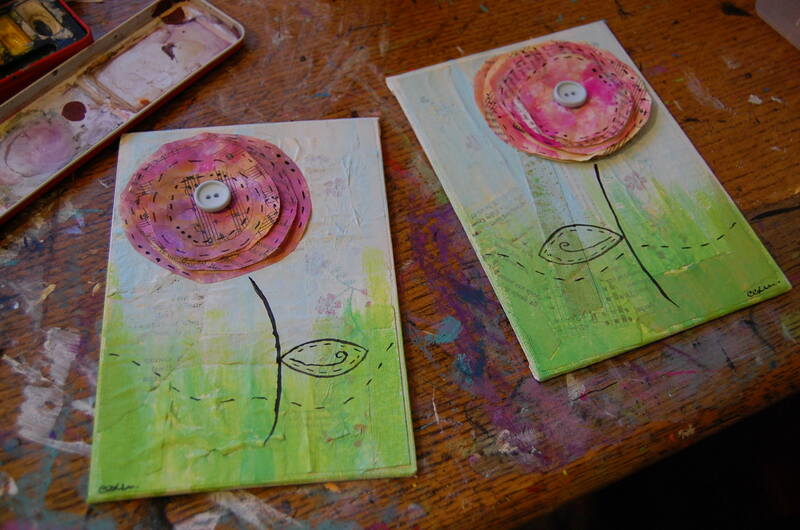 I have also been working on these paper flower mixed media paintings. I have textured the 5×7 inch canvas boards with ripped paper and card, and made a flower paper using layers of musical note paper, Shakespearean paper and lined paper and attached them together, then painted on them and stuck them to the board. I hope to also make some magnets and greetings cards like these! 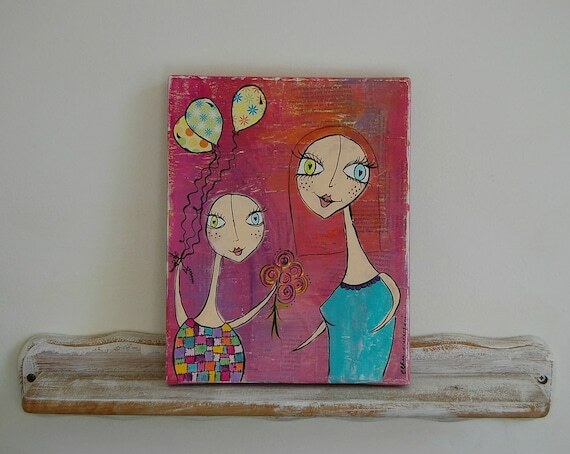 Mixed media canvas board paintings, paper flowers. These will be available in my Etsy shop tomorrow!